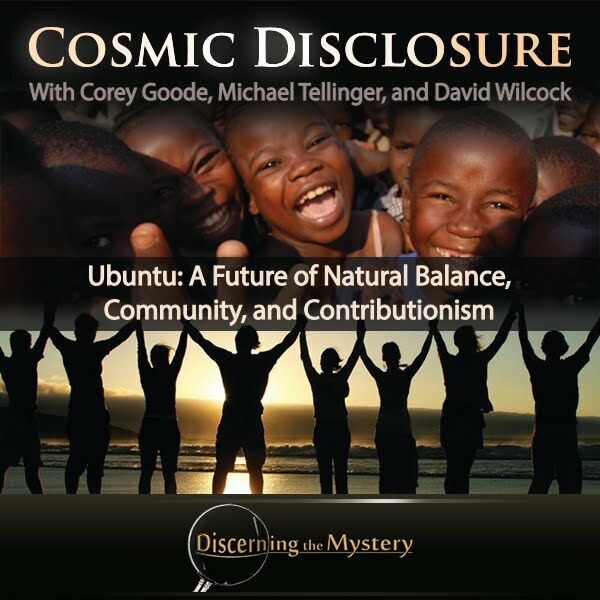 As the discussion continues, Corey Goode goes into greater detail in his testimony on the Secret Space Program, their goals, and how they actually mention the Ubuntu movement as a possible means for transitioning the Earth into a future of abundance. As Goode states, the Alliance consists of two main factions. These are the Earth Alliance (multiple Earth-based groups) and the Secret Space Program. The Secret Space Program consists of multiple factions that broke away from the main leadership and formed a loose-knit partnership among themselves. These groups are all guided by the what is called the “Secret Space Program Alliance Council”. Their goal among, many, is Full Disclosure which would involve a massive, informational data dump much like an Edward Snowden-type data release of all of the intel gathered over years of investigation on the criminal actions of the current, cabal-run regime. Nothing would be hidden or held back in this case. This alliance has made numerous advancements and has moved far beyond the limitations of what we might consider futuristic technology. Star gates, particle beam weapons, faster-than-light travel are all things of the past. Those within this alliance want replicator technology, free energy, and sound and light-healing technology to be made available to the public, and desire for people to live in balance with nature. They want to bring these to everyone, not just the elite, and not just America or the West, but to everyone. In short, these groups within these alliances want to put an end to this criminal cabal rule that has been enslaving and exploiting the planet for centuries. However, before the methodology can be finalized, it is important to understand how these crime syndicates operate. Many within these criminal, cabal organizations have much in common with the Nazi party, in that they believe in racial purism. They believe that much of the Earth's population has become racially “impure” in their mixing and mingling of DNA (including that from both on and off world), and that only their own blood-lines are worthy of procreation and continuation. Consequently, many of these groups want to wipe out the majority of the population on the Earth. They believe that mass murder is a good way of “cleansing” the Earth of the “problem” of impure humans. Corey Goode made the point that not all of these groups necessarily want to wipe out the population. Many of them are those conducting genetic experiments on different groups. In fact there are currently 22 genetic programs taking place of various types. These various programs compete with one another, according to Goode. Corey goes on to explain how the financial system here on Earth is used as a weapon against the people. It's basically set up so that those with all of the money lend money to those without it, but those without it carry all of the burden of the system. It is designed this way so that the wealthy can live in luxury at the expense of everyone else, just like in any oligarchic/elitist regime, and this must change. In such a situation, the people would clearly be dissatisfied with the current state of things, but this is not enough to create true change (considering how long this current state of affairs has existed). We may be dissatisfied with the way the system runs, but in order for there to be true change, there must be a catalyzing event, as Corey has stated. In a moment of revelation, the people must all realize that the system has been a scam from day one. People have to be so angry, and so fed up with the lies and secrecy that they are hungry for an explanation, and want to know the truth. This is the point where they are ready for the data dump, and at that point, no one would be able to effectively counter it. Goode continues, explaining that after this data dump has done its job, and the people know the truth behind the decades of secrecy, there will be a need to rebuild society in a way that is based upon fairness and equality. For this task, the SSP mentioned Michael Tellinger by name for his work in the Ubuntu movement, and political party. They have seen Ubuntu as the “wave of the future”, as Goode put it. He explained how this contrubutionist model for society is exactly what the planet needs in order to be in balance and harmony with nature. At this point, Michael Tellinger goes into his discussion of what Ubuntu is and why adopting this philosophy would help our planet. He explains that we, as a people and as a planet, do not need a financial system. This “valuable” paper that we keep in our pocket (which actually has no value at all) is created out of thin air. It's value is imaginary. We don't need a financial system. Both in the past and presently, currencies of every kind (as specially fiat currencies) tends to wind up being subject to excessive manipulation. The people who create these currencies out of nothing typically lend it out in small quantities and afterward, demand more in return than then lent in the first place. Along with (manipulated) governmental taxation, this ensures that those without wealth can never gain independence from those who hold all of the wealth and power. According to Tellinger, money is a weapon that was maliciously introduced for the purpose of enslavement. We cannot say exactly when this monetary weapon first appeared, but we do know that it was in our distant past. In numerous places, we see signs that tell us this paper is unnecessary. We realize that there are numerous indigenous tribes who have never seen or cared about such paper, and yet many of their culture have existed for thousands of years. We have been told that we need money because our civilization is bigger than theirs, but is this actually true? We have these stories and indoctrinating analogies of how it is so necessary to keep this paper in our pocket (as well as imaginary paper in a computer database), but are these analogies valid? We have these numerous explanations, but the truth is that they come from a system of inequality that is designed by the wealthy, to sustain itself. Those within this system are typically dependent upon it because they have never known or bother to learn any different. Consequently, up until a certain point, we have a mental addiction to the idea of money. We are discouraged from thinking of any better way of living. However, a better way most definitely does exist, and can for all of us. This is what Ubuntu is geared toward. Tellinger goes on to explain how this money has seemingly been imbued with some type of black magic that makes people emotionally dependent upon it. In his experience, when he tells a person that the Ubuntu movement is going to get rid of money as a whole, they go crazy because they think someone is going to take their money away, and that the system is somehow going to stay the same. It seems that people cannot conceptualize a world without money until they receive help in doing so. Michael explains how the process of explaining the Ubuntu philosophy to people ends up being much like a group therapy session. In the process of conceptualizing new possibilities, these people end up remembering their own worth after they learn to look beyond the all mighty dollar (or the respect fiat currency). For roughly a century, much of the world has been running on a system of unbridled, predatory capitalism. Each corporation that has spawned out of this cut-throat system has either grown to be a resource-grabbing, slave-driving, planet-wrecking behemoth, or has been consumed by such a corporation. Each decade, these mega-corporations become larger, more powerful, and more manipulative of governmental policy on a global scale. This is a significant reason why the system must be overhauled. If we are to survive as a civilization, the world must adopt a better way of life. In light of these blatant problems that we face, Michael Tellinger and those within the Ubuntu movement promote the concept called “Contributionism”. This contributionism consists of a system which mimics nature, in that as each member of the community provides for itself, it also provides a portion to other members within that community. The world does not need malicious competition to exist. In fact, we don't even need a financial system. The fact that countless indigenous cultures live well without one is enough to cause us to think on this matter. Of course, we know that our society is larger than a small village, and so the implementation of a contributionist system may be different, but size does not automatically equate to the need for having loads of paper in our pockets (or imaginary paper in databases). The discussion went on about how the people of Jamestown came from the Old World (England), but didn't know entirely how to live off of the land, isolated from society. This was a group that was used to having many aspects of life provided for them, but in their situation within this unfamiliar wilderness, life became increasingly difficult. A passage from the website “Live Science” may give some insight into what life at the Jamestown settlement was like. So there was actually a business-venture aspect to the settlement of Jamestown, as well as those of personal liberation, curiosity, and adventurism. With this information, I am to assume that the issue discussed within this episode related to the proposition by some that the Jamestown settlement only succeeded because they had something to work for. I can see how this may be so, for the simple aspect of trade. However, if someone proposed that the eventual success of Jamestown had solely to do with money, this would be an inaccurate presumption, in my opinion. Tellinger, Wilcock and Goode discussed the falsehood of the idea that money was necessary for the survival and success of Jamestown. I tend to agree, as it was not the money itself, but the ability of this town to contribute to (and to trade with) the world around it. The medium of money was irrelevant (a “middle-man”), just as it is today. Another misconception that was discussed was, “If we didn't have a capitalist system, we would all starve.” Also, the assumptions was mentioned which stated that only human greed and selfish ambition have the power to motivate people, and that humans were naturally lazy. There are many people who would swear by these ideas, but the fact is that this type of reasoning comes from within a capitalist system. It is likely that this, and the reasoning behind the Jamestown explanation came about due to the fact that many of the settlers were the wealthy people of their time. They didn't know how to work, and expected this labor to be completed by someone else. (This is also a time period where slaves were being traded in the open market, as Corey mentioned. So it would be understandable that these people did not appreciate the value of their own efforts in labor.) However, the Jamestown situation does not apply to us in modern times. Here in modern society, we are not elitists and aristocrats who don't know how to work. We don't need fierce, unbalanced competition in order to exist. To contrast, in a world built upon a standard of contributionism, there would be no need for such competition and entitlement. We humans are not naturally lazy at all. It is only in states of poor health (whether emotional, mental, spiritual, or physical) that this lethargy sets in. I would task anyone to find a healthy young child who can sit still for two minutes without getting up to create, to experiment, and to explore the world around them. This is human nature, not laziness. Just because we don't see such vitality in modern-day adults does not mean that it isn't there. It may simply be repressed (or suppressed). This may not be true if we could all easily remember the joy of dreaming we had as children. We dreamed of what we could be, of what made us the most happy and fulfilled, and aspired to do that thing some day. We have forgotten those dreams, but these dreams gave us life and joy. It is these dreams which are to be fulfilled in an Ubuntu society, as they will inspire us to do our best to contribute to society. At present, our lives are being controlled, hindered, and destroyed by politics. Democracy was supposed to be the greatest example of fairness, but it has instead become part of the problem. This democracy is basically mob rule (or majority-ruled). Unless we are with the majority on any opinion, we will never get what we truly want. Our businesses will not succeed. Our jobs and social classes will be marginalized and forgotten, and our resources will be either polluted or outsources to private companies (as within present-day capitalism, money equates to the power of the vote, and the “majority” is not true majority). Democratic, mob rule is part of the problem. However, in a system based in contributionism, the minority would have the greatest say. If there are a few people who want a program to be initiated, they can initiate it, and receive assistance from all those who appreciate the idea. In this way, every idea and every individual is important and plays a critical part in the success of the community. The philosophy of Ubuntu is based on the concept of “contributionism”, as stated previously. It holds the idea of “unity within community”, and the principle that if one person succeeds, everyone succeeds. If a person enjoys one particular task, they can use that task to contribute to both themselves and the community. Whether it's making clothing, building things, cooking, gardening, or working with metals, the people would use their skill to contribute to the community. No money is required, as enjoyment and fulfillment are the goals of the task. The fact is that money doesn't get things done. People do. On its own, money does nothing for us. All of the Earth's resources are here, and they are abundant, and renewable. This is the nature of life. It is designed to renew itself on its own. We have been taught to believe that we live in scarcity, but the only reason it seems scarce is that large corporations deliberately horde it, abuse it, destroy it, and use it beyond its ability to renew. We have been taught that competition is the secret to success. Most of us have accepted this misconception without ever questioning it. The truth is that nature operates in harmony and cooperation, not competition. There are numerous examples which demonstrate this fact. The eukaryotic model of the cell demonstrating diversity and unity in a single organism, as David Wilcock put it. To add to this concept, an apple tree doesn't simply produce one apple. It produces hundreds of other apple trees (Tellinger). To add to the examples given, a forest holds within it a seemingly endless variety of life, and may stretch for hundreds (even thousands) of square miles. Yet this forest functions as a single unit, supporting all life within it. So we have this example of unity and diversity which nature continually demonstrates. To these examples, Ubuntu adds the fractal dynamic of nature. What this means is that nature tends to show repeating patterns at multiple levels of magnification (a concept known as “self similarity”). It may be said that these levels are infinite, and that no matter how far one zooms in or out, the same patterns can be observed. We can apply this to the Ubuntu model in a number of ways, but the main idea behind them includes taking the working model of a unified and productive community, multiplying it, and creating a situation in which the group of communities functions as a community. Those groups of communities themselves function a community, and so on. This is one way to apply the natural model of fractals to the Ubuntu model. When we resonate at the core center, as Tellinger put it, we can build from that same frequency, just like nature. According to Corey Goode, this is why the Blue Avians and SSP are interested in the Ubuntu message. It it sustainable, renewable, and honors life as its core value. So this idea of contributionism might sound great to many of those who hear it. However, in order to implement this system, we need practicals. Here are a few thoughts. First, we establish a number of diverse community projects in which everybody works for three hours a week. These projects will be focused on creating all kinds of things—everything from basic needs to more advanced, developmental projects. (The community would not be an enclosed community, but would be self-sustainable.) After this community has produced enough to sustain itself, the group could either sell what they make in excess, or give it away for free. The dynamic of this community would be based upon its location and setting. If the group is located in more rural ares, it may be more suited for quicker implementation and role-out. If it is more urban-based, different circumstances may be considered. Overall, the goal would be to gather people together so as to create an environment of productivity based upon talent, need, and inspiration. Every project undertaken by the community would be implemented in full respect of nature, and in balance with the surrounding ecosystems. Every instance of technology would be geared toward this effort of environmental preservation. In fact, as Corey Goode put it, technology such as replicators could be implemented to bridge the gap between technological advancement and basic needs within the urban environment. It may be used to create greater ease in meeting the needs of the people until a more sustainable means could be adopted in these urban areas. Both in the past and in the present, the community is mostly abandoned during the day for the sake of contributing to a corporation. In the new system, what corporations are left would be focused on contributing to the community. In such a system, we would not need to commute as often. The goal would be to create a more positive, pleasant, and balanced environment so that people would actually want to live in the cities as opposed to getting out of it as quickly as possible the moment the work day ends. As further developments are made, the city would become an equal balance between clean, advanced technology and natural preservation, as well as between residency and productive environments. I personally enjoyed the explanation of schooling that was given. Tellinger makes the point that schooling doesn't have to be the "prison camp" that we currently sends our kids to, but that it would instead be a diverse experience in which the differences among students are valued and encouraged to be explored. It is these differences that make any community more dynamic and well-rounded with regard to potential. Uniqueness is appreciated as opposed to the current system, in which everyone is berated and degraded for standing out. The fact is that everyone has a dream, but it is very rare that anyone pursues their dreams. Presently, we may let our dreams go because of the system tells us that they are worthless, and that it is irresponsible to pursue them. The system has a way of gradually beating us down and making us forget our dreams, but our fulfillment and productivity in a life-honoring system requires us to remember them and to pick them up once again. Tellinger explains that in order to get people to honor their lost dreams, he ends up having to regress them back to their childhood, and to remind them what they used to love. In order to get this system rolling, it must be understood that at present, we live in a capitalist system of competition. So the implementation of the first few contributionist communities will have to be funded. This could be accomplished with some sort of government-funded program. It would start out as an experiment to show how much more productive self-motivated people can be than those who are simple employees working unfulfilling jobs. These communities would encourage potential members to join by offering them free electricity and utilities (as we know free energy is now possible, and yet still restricted from the public). With these financial issues taken care of, community members can spend more of their time with their chosen tasks, and since they will only need to work for three hours per week, the rest of their time can be spent doing what they love. In order for any of this plan to get off of the ground, the political side of the equation must be won. To do this, the municipal level of government is key. Why? It is because the municipal level is where policy can most quickly be implemented. As Tellinger states, this is the power of the Ubuntu system, and right now, there is a global Ubuntu movement. This movement is located within 200 different countries. At any given time, the Ubuntu party is ready to vote out the current municipal government, and to vote in those who are open to the change that contributionism can bring. This way, the Ubuntu system has the greatest chance of becoming policy. This is the beauty of Ubuntu, as Tellinger puts it. All it takes is one single community to take down the entire system. According to Michael Tellinger, it is impossible for any capitalist system to function anywhere near the vicinity of the contributionist system. When the people see just how productive it is, how much incentive exists within such a system, and how they could actually have the occupation they want most, there will be no turning back. However, it should be known that no one has to actually leave their current jobs in order to contribute to the community. The goal is only 3 hours per week. This can be easily managed. Tellinger goes on the speak about a statistician who he knows. When this person calculated the effectiveness of this new system, this is what he found. Using Tellinger's home town as an example, 5,000 working 3 hours per week (15,000 hours per week, total) is equivalent to 31 years working 8-hours days in the current system. With this kind of productivity, there is no telling how productive a community can be. From this point the system can unfold in any way the community sees fit. This is an inclusive project. Any person and any business can join it. They receive free electricity, and they keep one third of their own production and contribute two thirds to the community. As Tellinger states, we have been conditioned to believe that success takes hard labor, but this is not at all true. When we work together in doing what we love, there is no work, but simply enjoyment and cooperation. For everyone interested in participating in these new developments, Michael Tellinger gives a few ways to get involved. First, go to Ubuntuparty.org.za and join. While you're there, purchase a copy of the book “Contributionism” so that you can learn more about the system of Ubuntu. Plus it helps fund the new projects. Purchase your copy of "Contributionism" now – Only $10.00, but worth much more. Keep in mind, this system is designed to eliminate the need for money of any kind. However, in order to break free from it, we have to use it against itself in a sense. It's “value” is based upon nothing more than belief. When we develop a belief in something that actually has true value, the money will be seen for what it is. ...paper. Then, we will have our lives and our world back. Once any currency is introduced into any society, that society gradually falls victim to manipulation on multiple levels. History has shown this fact more times than necessary in order to prove to us that money only gets in the way. The Ubuntu system of contributionism is designed to eliminate money all together, and to let true value represent itself in the people, in the services and goods provided, and in the community as a whole. These episodes (Part 1 and 2) were excellent refreshers with regard to the Ubuntu movement. I have watch and read from multiple sources on the subject and have found Ubuntu to be an exciting proposal for a new model of society. With this in mind, there is one particular reaction to this model which I felt required addressing. In my experience, many people who hear any statement opposed to capitalism respond with the question, “So, you a communists then?” I always found it curious as to why so many people seem to be addicted to the idea of big government (as both capitalism and communism require large, governmental oversight). They seem to believe that reality only has two options, and that both of those options require some cumbersome, inefficient system that requires overgrown government to run it. I didn't understand this tendency at first, but after watching one interview, I began to understand a bit more. (One thing to note on this interview... Much of the information I have encountered coming from sources such as Info Wars can be helpful. However, in my experience this source can be a bit negative, compared to the tone I appreciate most. At times, they seem to almost praise the cabal at how powerful and unbeatable they supposedly are. So while viewing this, or any such video, you might want to be aware of these observations. Other than that, I find this interview quite helpful and revealing.) This is G. Edward Griffin on collectivism. On another note, there seem to be a number of rumors going around about Corey Goode and David Wiclcok, and how they are supposedly attempting to “get rich” from their efforts on full disclosure. The rumors say that somehow selling a book, and doing a few presentations equate to greed and materialism. In light of such discussions as found in this episode, there are a few responses I would like to give to such rumors. Lets consider for a moment the impact of getting rid of money altogether, and promoting a system that holds equity in humanity and community over the material. In such a society, there would be no “rich”. There would be no money to collect or horde for one's own benefit. (If there were any money, it would be worthless clutter which no one would want for anything other than nostalgic appeal.) Money wouldn't at all be needed in providing food, clothing, shelter, recreation, energy, or much of anything else. Eventually, it would be phased out altogether. So there really wouldn't be any point in collecting it. The fact that absolutely no evidence is offered to support such accusations tells me it's probably not worth listening to, but it may be helpful to consider the true motivation behind such empty accusations. There is the issue of what I refer to as “the paradox of accusation”. This is relative to the psychological concept of projection, in that any individual who is so fixated on the possibility of the flaws of someone else, actually superimposes their own guilt over their target. This is typically due to the accuser's own unconsciousness and/or lack of self awareness. Typically, the accuser never verifies the guilt of the target before they concluded it. This is because the goal of the accusation doesn't truly require them to. The true goal of this accusation is not to encourage justice to be done. If that were the case, evidence would be presented. The true goal of such empty accusation is to make one's self look better than the intended target or targets. Internally, it could be said that an individual, due to their own lack of courage to confront their own darkness, will superimpose that darkness upon others. Their higher self has chosen to examine an aspect of darkness, but the lower self lacks the courage to admit the fact of the presence of that darkness. Consequently, the only way to experience the darkness within is through the image of another individual. It may be said if an individual is not already guilty of their own empty accusation, they will inevitably become guilty of it base on their own choice to accuse. This is the paradox. This is no solution at all, of course (at least not to those who have chosen the positive path). For those on the positive path, the solution is to gain the courage necessary to face one's self, and to learn the lesson they came here to learn. This learning cannot take place when an individual is so thoroughly terrified of looking into the mirror (or when they paint an image of perfection over that mirror). The accusation against Goode and Wilcock have no substance, and seem to come from a mind which lacks the imagination to realize a world free of greed, materialism, and corporate control. It demonstrates an ideology that is so thoroughly addicted to capitalism that it attempts to superimpose the flaws of a capitalist system even in situations in which those flaws would be long gone. Then again, it might just be that such people have simply forgotten to take the time to listen and learn before making such accusations. They may have simply jumped on and started turning the rumor mill without thinking, which is sadly common in recent times. We all have the ability to make responsible choice with regard to our thoughts and ideas. There is much work to be done, and many improvements to be made. Lets spend our time and energy on such constructive projects, and avoid creating fictitious reason to fight and oppose one another. The following is an exploration of the possibilities of change which await us in the new world which we are creating, and which is dawning before our eyes. To be honest, I am not sure where it came from. I wrote it, sure, but in a way, it almost wrote itself. Could it be channeled? I don't know, but if it contributes value in some way, I'm glad. As any major change, the global paradigm shift must begin with a shift of ideology, of mindset, and of understanding of what is truly possible. This shift is a fundamental change of attitude and conduct within each individual. This change would include the shift of thoughts, feelings and actions with regard to purpose, priority, and the executions thereof. With these shifts taking place within, the system and society will change before our eyes. Changes such as these require the self to thoroughly reevaluate what is important to”me” the individual. The fundamental issue within the individual in modern times is that each and every one of us has been taught to evaluate our purpose as that which is determined by others--what our family expects of us, what our piers are doing, or the limited amount of choices made available to us by society at any given time. Little or no thought is truly given to the need and desire of the self. Too easily, we forget our childhood dream, or the activity which gave us the most joy and fulfillment. The hobby that we loved to share with those around us, and that we felt proud to take part in... That task which would keep us up late at night even though our parents told us to put it aside and go to sleep... That thing, that hobby we think about any time we have a free moment, whatever it may be, is the key to changing society. That joy of creating, of calculating, of growing things, or organizing, of making things with our hands, of metal work, of crocheting, pottery, cooking, decorating, repairing machinery, or woodworking... Each and every one of these tasks are being undertaken and enjoyed right now. The problem is that very few, if any, are benefiting from these tasks in a way which provides for themselves and their family. Too many of us work jobs we can barely stand because we've been taught that we don't have a choice, but we do. It's time to re-evaluate the possibility of choice, and to realize that we have this choice. We have always had the choice, and the only reason that we don't see the benefit of this choice is that we don't believe that it is ours to make. Put a few billion people together that believe that choice doesn't exist, and you get a prison planet. If each individual changes that mindset and accepts the fact of Free Will and free choice of occupation, the world would change over night. It's time that we honored our free choice, despite the fact that establishment tells us that it is pointless, unproductive, and/or irresponsible. ...But how do we do this? When we have fully honored our right to do and to benefit from that which we love, we have accomplished our first step. The next step of this change is at the group level, at the place where we all communicate. If we are average people, chances are we are working a job that we do not want. There is little or no fulfillment in this craft that we are bound to. This must change. If everyone were to all-of-a-sudden walk out of their current job, the system would shut down, but this is not what we need. What we need is to be valued so much by the companies we work for that these companies treat us as equals, not as property, or inanimate assets. The truth is that in any company, every employee plays a key role, from the custodial technician to the CEO. Everyone's role is important, but this equality is rarely acknowledged. In order to create a system that is free of the need for money, it is important to first communicate and demand acknowledgment of our equality. At the corporate level, this value must be equally agreed upon by everyone, including those within management. ...and there is one perfect way to do this. We begin an online, international job trading program, where the individual is given all of the power. (This would be like a universal labor union, except without fees.) You as a person can actually trade your job with someone else. You would sign up online, look for the job that suits you, contact the individual who works it, and make arrangements. The central, third party service would help coordinate meetings and match job seekers with current workers. Two-way, three-way, and four-way trades would be no problem, and because each individual is part of this program, corporations treat them more equally. These corporations may even make their positions more attractive, as they would realize that their employees didn't actually 'need' them the way they did before. All of this could be achieved by an automated database, and kept by a group of volunteers, or by a not-for-profit organization. This community could be initiated in urban areas to help the people reevaluate and acknowledge the reality of their own worth, and to also help us prepare for the implementation of a contributionist system. In this system, schooling and volunteer tasks would go hand and hand. Educational facilities could be combined with these volunteer communities so that the transition between school and the specialized task would be seamless. (This would start at the reformed corporate level, and evolve further as the Ubuntu philosophy was gradually adopted to greater degrees.) Each community/former company would develop an entire department geared toward training young students. These students would learn general educational material part of the time, and learn the finer points of each task the rest of the time. Children would learn each job up to a point, and would later be able to pursue the task they were most interested in beside their core subjects. In this situation there would be no limit to how much the children could learn in a professional, application-based schooling experience. Community occupation and school would become one entity, and the quality of schooling would be of the highest caliber, as it would determine the success of the community. The entire understanding of urban planning and architectural design might change due to this new paradigm of productivity. Instead of constructing large, signal-purpose office buildings geared toward indentured servitude, these buildings would be multi-purpose, and designed for the purpose of enriching the life of the individual and the collective as a whole. The school function, the occupational, and the recreation function would be adjacent (as stated before). The medical and emergency services may be somewhat separate from the general area. However, the vicinity would not be so far away that such needs could not be immediately met. The occupations within these communities would not at all be singular. A person could play multiple roles if they wished. If they found more than one task enjoyable and fulfilling, there would be no reason why they could not do both. They could simply find someone who had the same skill set and trade with them for a time. There would be no employee-employer relationship, because each individual is equal, and employs themselves. This equality and overall enjoyment that each person has of their given task would foster dedication to the task, ensuring continued success and productivity. This stage might be where money is taking out of the equation. There may be multiple needs to be met, but everywhere there is a need, there are many people available to fulfill it simply for the pure enjoyment of doing so. Since money is no longer the single motivating factor of everything the individual does, social merit becomes more valued than the former materialism. There are many people who enjoy gardening and harvesting what they grow, who enjoy maintaining vehicles or transport devices, and who enjoy driving from one place to another to deliver food. There are cooks who enjoy cooking, and those who like to talk to people and take orders. There are even those who enjoy cleaning and making a room look spotless. Not one of these steps requires money of any kind, but still this represents an entire network of food service workers who would do any of these tasks simply for the enjoyment, and within this network, each individual is appreciated for their uniqueness and their contribution. Society is full of people who would do any of these tasks for free. So food in the city, in the rural areas, and everywhere in between would be plentiful. Of course, this might be for those who appreciate the tradition of food preparation. For those who prefer a more convenient alternative, replicator technology would thoroughly simplify this process. You would be hard-pressed to find a dissatisfied person in a society in which every single individual had their basic needs met, and is following their dream. Completing the task at hand would be a joy--a labor of love. At this point, life would be significantly fulfilling. Who knows what possibilities may await us? This change is completely possible, and as soon as we realize that money is irrelevant, we will see just how far we can progress as individuals and as a whole. Go to www.blueavians.com , and you will be able to sign up for one month for $0.99. You are an amazing writer and thinker. Thank you for all this.